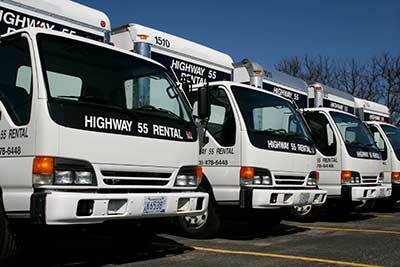 Highway 55 Rental carries one of the widest selections of well-maintained moving trucks and trailers for rent in the Twin Cities Metro Area. We also stock all of the moving accessories and moving supplies to go with it, making us a truly one-stop-shop for all of your moving needs across the Minneapolis and Western Metro area. When you reserve a moving truck or trailer from us, rest assured it will be at our location waiting for you upon your arrival. In addition to renting box trucks in various sizes, we also rent flatbed utility and pickup trucks as well as cargo vans. Our fleet of moving and utility trucks is one of the newest for rent in the Twin Cities Metro Area and is meticulously maintained by our own certified mechanics, so when you rent a truck from Highway 55 Rental, you can count on receiving a clean, reliable truck at a reasonable price. Since 1979, Highway 55 Rental continues to also offer one of the largest and highest quality fleets of trailers for rent in Minnesota. Ranging from open utility trailers to flatbed, tilt trailers to enclosed trailers, car trailers and tow dollies, we rent them. Whether you live in Plymouth Minnesota, Medina, Hamel, Orono, Minnetonka, Golden Valley, Maple Grove, Wayzata MN or beyond, Highway 55 Rental is your locally owned and operated source for moving truck and trailer rentals throughout the Twin Cities Metro Area.